Turkey is trying to break its addiction to plastics, implementing a law next year that will do away with free plastic bags at grocery stores. 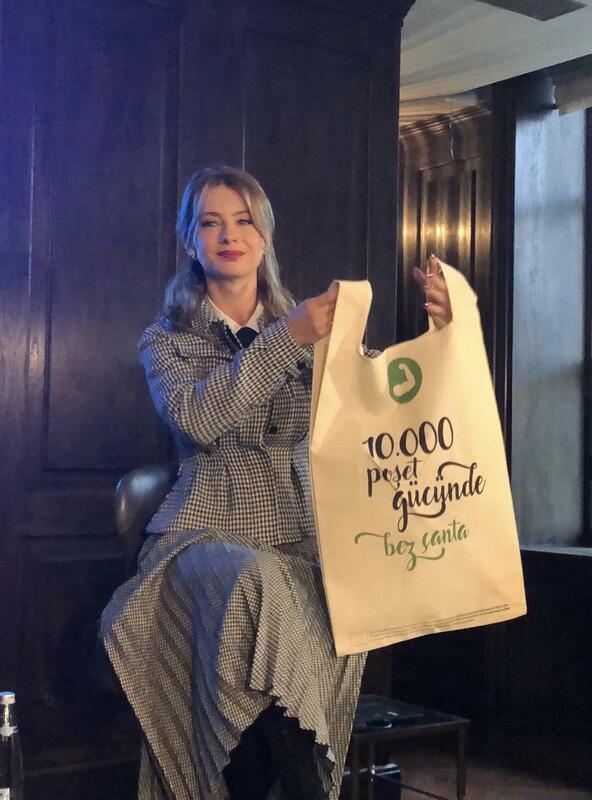 And a top Turkish celebrity has been enlisted to try and encourage the use of her own tote bag as an alternative. An estimated one trillion plastic bags worldwide are used annually. Billions of plastic bags are destroying the planet’s environment and killing sea creatures. Taking up to 1,000 years to degrade, they are amassing in the oceans and making their way into the food chain, and ultimately into our stomachs. “I’m a mother. I have three children,” Turkish actor Tuba Unsal, told The Independent. “I have to do something for their future, for their lives. The way we are using our natural resources is very silly. We have to do something. She appeared at an event on Monday alongside Christian Berger, the European Union’s ambassador, to Turkey to drum up public awareness about Turkey’s upcoming rules. “Both in the EU and Turkey we’ve agreed on the need to address this issue, particularly in the oceans,” Mr Berger told The Independent on the sidelines of the event.